I started writing this diary in July 2008. I mainly write about things I see in our garden, but there is also the occasional entry about a walk in the forest or an excursion with the KNNV plant workgroup. The slideshow below shows the changes in our garden as seen from the terrace. 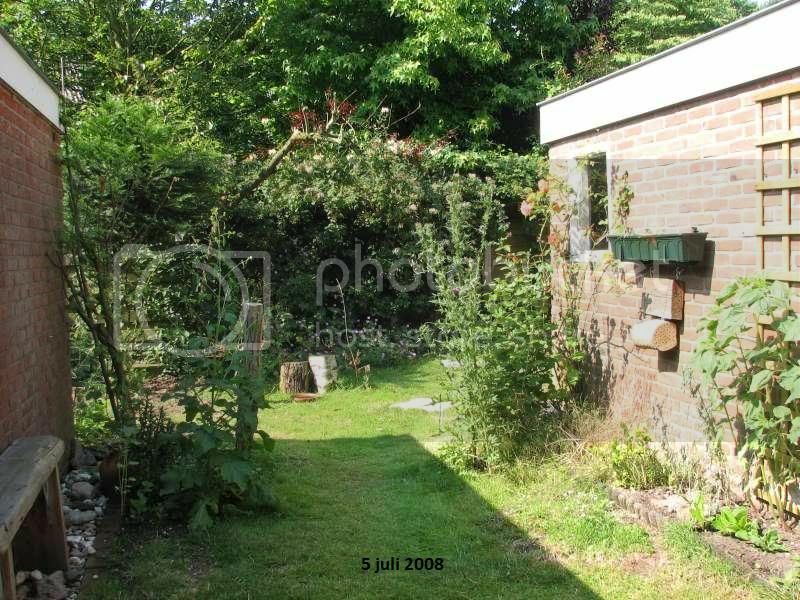 The first picture of the slideshow was right after we bought this house, on September 3rd 2007. We removed a lot of plants right after that, but unfortunately I don't have a picture of the situation right after that. The next picture was taken on May 16th 2008. The rest of the pictures were taken regulary in the following time.